Q: Tell me how the Fendi Château Residences project came to be. 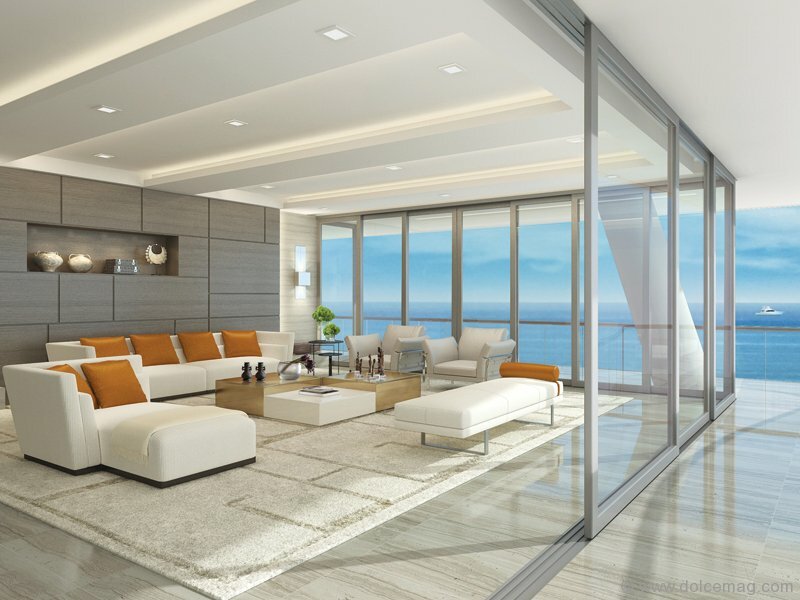 What inspired the Château Group to execute a 12-storey waterfront condo development in Miami? GROSSKOPF: As developers we have always created distinct residential buildings with the highest level of architectural design and a refined functionality. It made sense to partner with Fendi for this project because they represent the highest level of elegance, innovative style and excellence in the fashion and luxury world. We strive to achieve the same level of quality in our carefully designed real estate developments so the partnership with Fendi was a perfect match. 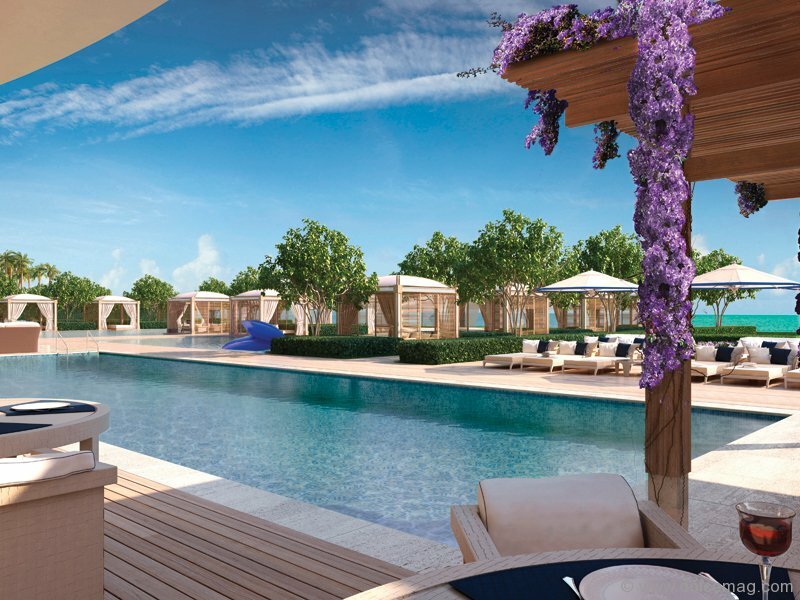 Fendi Château Residences will combine function and fashion on a grand scale. Q: What type of style and vibe can one expect once the development opens in 2016? GROSSKOPF: Fendi in collaboration with interior design firm Fanny Haim & Associates have worked in tandem to design the amenity spaces and residences to reflect the Fendi lifestyle and esthetic. In addition, the team hand-picked the very best furnishings and accessories from Fendi Casa, from the walls to the sofas, the rugs to the light fixtures, for the deluxe amenity spaces and home interiors, giving residents a taste of the contemporary design esthetic that will permeate every inch of this breathtaking building. The residences boast 10-foot ceilings, sweeping views and glass-railed terraces. Homes are characterized by bespoke designs and feature distinctive materials such as streaked woods, smoky glass and bronzed reflections — adding yet another element of Fendi luxury. Q: What other luxurious perks will one find in this development? 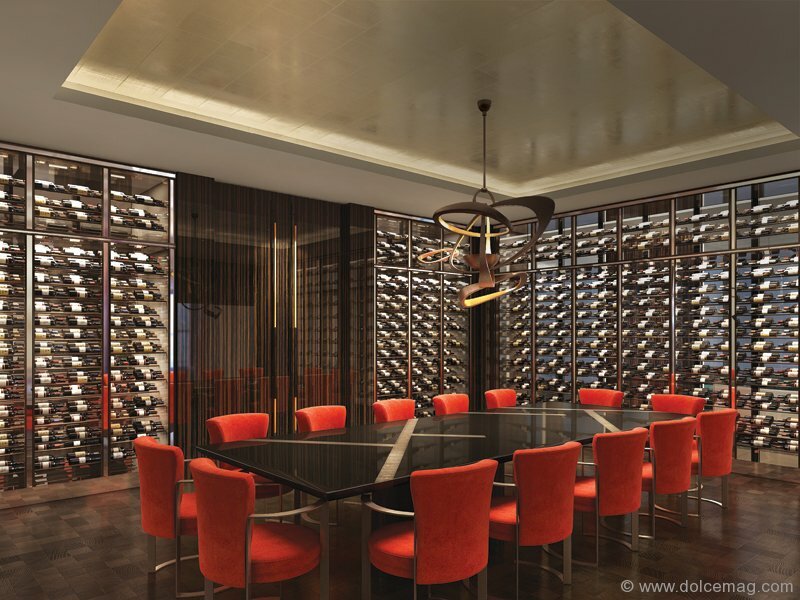 GROSSKOPF: Common areas include a private restaurant with a full chef’s kitchen featuring Officine Gullo. Being one of the world’s leading artisans in professional kitchens, the area will feature bespoke design with metalwork detail. The chef’s kitchen provides a premium experience in restaurant cooking combined with dinners at sunset for residents and their guests. Residents will also have the option to include Fendi Casa decorative elements throughout their apartments. All residences boast finished bathrooms featuring Calacatta and Botticino marble floors throughout with custom-designed fixtures, along with staff quarters and laundry areas, which include full bathrooms. Residents will also have the option to include Fendi Casa decorative items throughout their living space, which will be decorator-ready. Q: What prompted Château Group to partner with concierge company Luxury Attaché to launch the concierge service Fendi Château Attaché? GROSSKOPF: Today’s global buyer is more discerning than ever and brand-oriented. We are adapting to these new types of global buyers by creating luxury residences that fit their lifestyle needs. 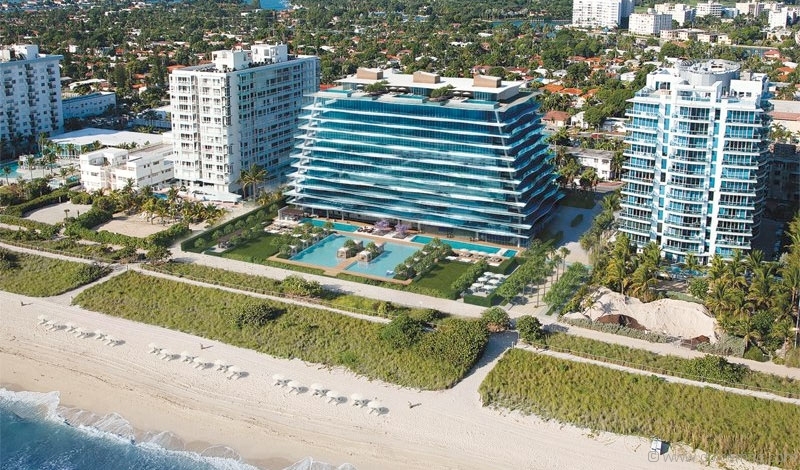 Fendi Château Residences has already set the new standard for oceanfront living in Miami. We are now elevating that experience through our partnership with Luxury Attaché and offering our most discerning residents the ultimate amenity in the form of personalized service. Q: How will personalized service set the residences apart from other luxury dwellings in the area? GROSSKOPF: Fendi Château Attaché will offer residents of Fendi’s first branded condominium building with unprecedented luxury concierge services that are tailored to personal tastes and preferences. A dedicated, hand-selected Attaché team member will provide a single touch point for residents with seamless, same-day service, turnaround and personalization down to the very last detail, becoming an integral part of each resident’s everyday life. Q: What other highlights will discerning clients enjoy at the residences? GROSSKOPF: Fendi Château Residences’ comprehensive amenities package includes a wine cellar, library, ballroom, kid’s club, private cinema with an adjacent business centre, beauty salon, state-of-the-art fitness centre overlooking the ocean, bicycle storage, multiple beachfront pools with cabanas, reflective ponds, spas and Jacuzzis, and a relaxation terrace with aromatherapy. Common areas include a private restaurant with a casual area, bar and full chef’s kitchen; and an outdoor space designed for barbeques and gatherings and outdoor cabanas. Q: Which demographic does this project cater to? GROSSKOPF: Fendi Château Residences is attracting a balance of both domestic and international buyers looking to purchase in a luxury-branded development. We are seeing buyers from the Northeast and Midwest, Canada, London, Russia and Latin America. We are currently over 80 per cent sold, proving that today’s global buyer is more discerning than ever and brand-oriented with a desire for a low-density development with white-glove services. 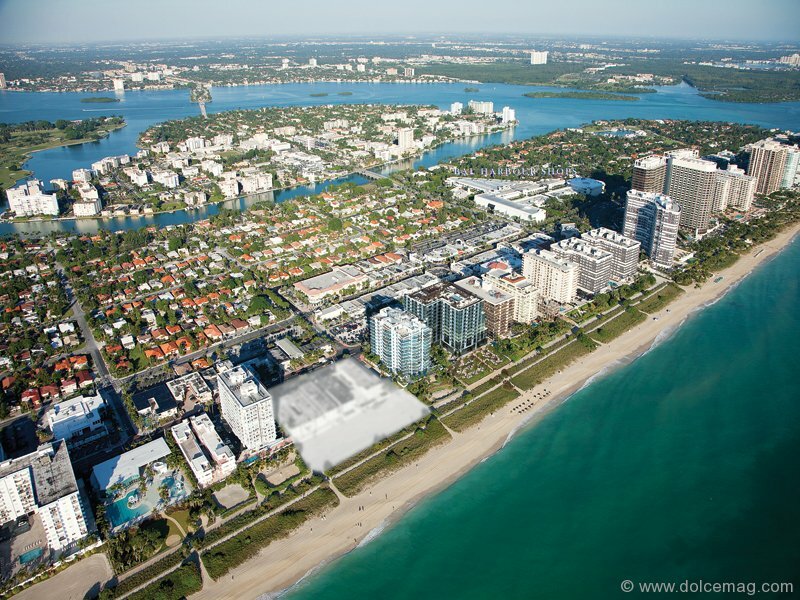 Q: Overall, why should global buyers consider 9365 Collins Avenue their next purchase? 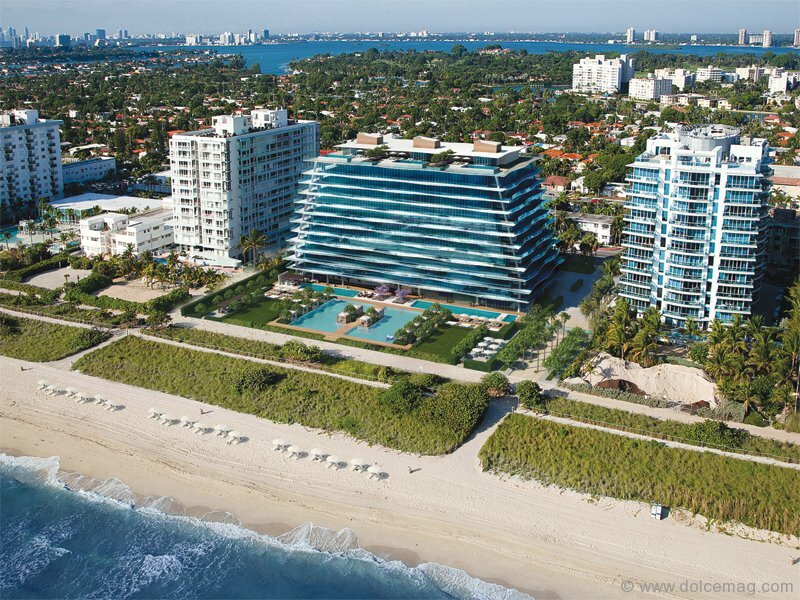 GROSSKOPF: Fendi Château Residences is a 12-storey building with 58 floor-through residences that deliver extraordinary and unobstructed views along with 300 linear feet of unadulterated beachfront. All of this is perfectly complemented by chic interiors and amenity spaces curated by Fendi in the same esthetic that has made them sought-after by the world’s most stylish men and women.